Ritalin Benefits And Side Effects | Does Ritalin Work? Ritalin, also known by its generic name of Methylphenidate, is a well-known prescription treatment for ADHD and certain sleep disorders. It has many off-label uses as well. Ritalin produces stimulating effects on the brain and the body, often described as more powerful than caffeine but less potent than an amphetamine. Ritalin is a heavily regulated drug available by prescription only in the US. Ritalin acts a highly effective stimulant as well as increases the levels of dopamine and norepinephrine in the brain. Its effects have been reported similar to that of cocaine, and unsurprisingly, Ritalin has a high rate of abuse. Because Ritalin produces both cocaine- and amphetamine-like effects on the brain, there is a high risk of addiction and abuse when taking Ritalin. Because Ritalin lowers the seizure threshold, patients with a seizure disorder are recommended not to take Ritalin unless their doctor deems it safe. Ritalin is contraindicated for a host of drugs including most antidepressants. In addition, Ritalin should not be taken if you have problems with your heart or liver without first consulting your doctor. Ritalin has a long list of reported side effects including anxiety, appetite loss, abdominal pain, cardiovascular problems, palpitations, rapid changes in blood pressure, alopecia, lethargy, somnolence, significant changes in libido, dizziness, headaches, nausea, stunted growth, and dry mouth. It is possible to overdose on Ritalin, especially since the body can build a tolerance to Ritalin over time. Make sure to only take Ritalin in the recommended dosage prescribed by your doctor. Pregnant women should not take Ritalin unless their doctor decides that symptom alleviation is worth the risk. How Does Ritalin Help Brain Function? 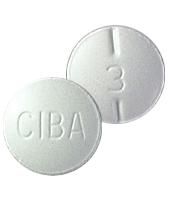 Ritalin stimulates the central nervous system to produce a feeling of alertness and significantly reduces fatigue in the human body. It also increases levels of dopamine in the brain, an essential neurotransmitter involved in the process of feeling rewarded and completing tasks. Ritalin also modifies the brain activities of people diagnosed with ADHD in such a way as to improve their concentration and cognitive function. Wondering about which brain supplements perform better than Ritalin? Check our brain supplement reviews!